The single measurement most important to your health is the pH of your blood and tissues-how acidic or alkaline they are. Your pH level is more important than cholesterol counts, calorie and fat grams, blood pressure, blood sugar levels, or hormone levels! It has been determined that an alkaline body is more conducive to health and well-being than an acidic one. A body that tends to be acidic is more at risk for infections from bacteria, yeast, parasites, and viruses. Studies show that all of these seek out and thrive in an acid environment. Just like a pool's pH level, when it's low or acidic, you don't want to go swimming in it as bacteria thrives. The same is true for your body's pH level. Furthermore populations of bacteria, fungi, etc. may be thriving throughout your body if it's acidic without causing acute disease, yet producing abundant amounts of acid waste products which could underlie a variety of degenerative conditions. Bacteria are found in arthritic joints, arterial plaque, and many other places. Different areas of the body have different ideal pH levels. The blood pH is the most telling of all. The blood must be kept in a very narrow pH range, mildly basic or alkaline around 7.3 and the body will go to great lengths to preserve this balance, including robbing other tissues or systems to keep it's pH level in this range. So it's important to check the pH levels of your saliva and urine, there's a strong correlation that when saliva and urine are acidic the body's internal environment is acidic as well. Diets which are high in protein, fats, carbohydrates, sugars, coffee and alcohol and low in greens and raw food will stress the digestive system inhibiting proper digestion and overloading the immune system with incompletely digested macromolecules and toxins. A high intake of food additives and pesticides, so common in the Western diet, will also add stress. The stress from our diets lowers your pH balance significantly. "It's all about balance. The universe operates by keeping opposites in balance, and the universe contained within your body is no exception. When imbalance occurs, we get the signs of disease: low energy, fatigue, poor digestion, excess weight, foggy thinking, aches and pains, as well as major disorders." Dr. Robert Young, author of the book, 'pH Miracle'. Our health today confirms this balance. Most people with our modern lifestyles and diets are suffering from imbalance. They are obese, or tired, or prematurely aging, the list could go on and on. The top three killers in America, cancer, heart disease, and diabetes, have all been linked to diet. Modern medicine agrees: "Foods contain nutrients essential for normal metabolic function, and when problems arise, they result from imbalances in nutrient intake and from harmful interaction with other factors. For ... adult Americans who do not smoke and do not drink excessively, one personal choice seems to influence long-term health prospects more than any other - What We Eat" From the 1988 Surgeon General's Report on Health and Nutrition. The pH level of your internal fluids affects every cell in your body and your body has about 50 trillion cells! Skin cells, blood cells, muscle cells, bone cells, brain cells, etc. all depend on your pH balance. Your body is totally regulated by pH! Healthy cells are the building blocks to a healthy body. Unhealthy cells create an unhealthy body. To obtain optimum health your internal environment must be balanced and working at optimum pH levels. Check your pH levels often and at different times of the day. Your pH level tells you how acidic or alkaline your tissues and fluids are, and that affects all aspects of your health. The enclosed pH papers are the most accurate on the market and have excellent color separations in the acid range and the alkali range at every .2 to .3 pH intervals. Each roll provides the user with approximately 100 tests. The pH scale ranges from 0, the highest acidic, to 14, the most alkaline. A solution with a pH of 7 is neutral, so under 7 is acidic and over 7 is alkaline, also known as basic. The pH scale is logarithmic, which means that each step is ten times the previous. So a pH of 5 is ten times more acidic than a pH of 6, 100 times more acidic than a pH of 7 and 1,000 times more acidic than a pH of 8. This explains why a slight change in your pH level can have a great impact on your internal environment and ultimately, your health. It is best to not eat, drink, or brush your teeth 30 minutes prior to testing your saliva. Swallow a couple of times to clear the mouth, this also helps stimulate new saliva, then discharge some saliva into a PLASTIC spoon, do not touch the pH paper to your tongue due to the chemicals in the paper, tear off a one-two inch strip of pH paper, place into saliva and compare the color on your immersed pH paper with the color chart provided on the pH paper roll. Optimal pH for saliva is above 7.0. If your pH level is below 7.0 consistently, it may indicate insufficient alkaline reserves. The saliva pH level represents the most consistent and most definitive physical sign of the ionic calcium deficiency syndrome, the calcium deficiency of aging and lifestyle defects. If your saliva pH level stays between 6.8 and 7.2+ all day, your body is functioning within a healthy range. Raising your early morning saliva pH above 6.8 usually alleviates many of your health problems. To maintain optimal health the body is constantly seeking to get rid of the excess acids that irritate the tissues and deplete them of minerals. These excess acids are naturally corrosive and inflammatory and can cause much irritation on the organs, bones, teeth, and joints that it comes in contact with. One of the principal systems used to rid the excess acids is the renal system (kidneys). The normal rate of acid excretion through the kidneys gives urine a pH level between 6.75 and 7.25, and 6.5 to 7.0+ is considered an ideal pH level. Testing your body's urine pH will determine whether your body is eliminating a normal quantity of acids. If the acid excretion rate is higher than normal, the urinary pH will be more acidic and have a lower ph level. Much lower pH levels indicate that the body is saturated with acids and not able to eliminate them fast enough. Studies have found that 80 % of Cancer patients had ph levels around 4.5. The urine pH level also indicates how the body is working to maintain the proper pH of the blood. The urine pH provides a fairly accurate picture of body chemistry. 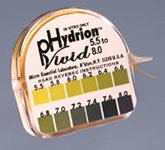 The pH level can be affected by many internal and external issues so test regularly and at different times of the day. Urinary pH tends to be lower in the morning and higher in the evening. Nova's Barleygrass Enzymes product is perfect for those who desire proper pH balance!